The Lieutenants of the Harkesh Guard are both seasoned war veterans and heroes who have distinguished themselves in battle in at least one of the Mharoti campaigns. Their usual weapon of choice is the greatsword, which they wield to great effect when necessary. 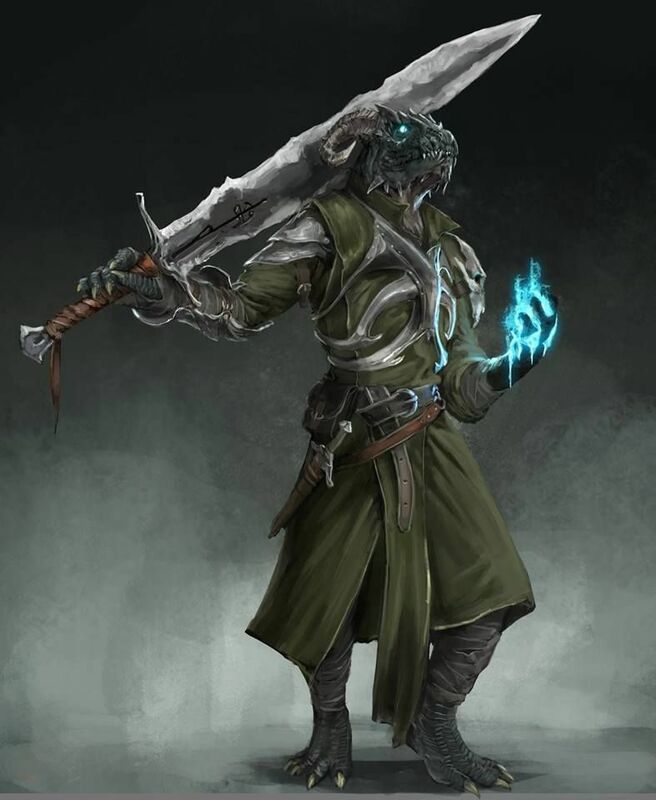 All Harkesh Lieutenants of the dragonkin type are of the Edjet class and chosed for both their strength and charisma. They are all seasoned campaign veterans who have been highly honoured in battle. They usually wear magical chainmail and wield a magical greatsword. Just like the swords of the Guardsmen, unlawful ownership of these weapons is punishable by death. Lieutenants can be male or female but are usually female. They are usually of the blue variety, meaning that they have DR 7 v lightning and are able to employ a Lightning Breath weapon in addition to their melee attack when in FULL ATTACK mode. There are also red and gold fire variants, as well as some black and green acid variants. They will usually always be devout fanatical devotees of Azuran. They are highly specialized in the use of their weapons and will always follow their orders to the letter.